Perfect Moment is managed by the two founding partners Kevin Brownridge and John Lancaster who set up the consultancy with the aim of achieving high quality results for clients, delivered with professional knowledge and integrity, and routed firmly around the three key values of creative ideas, intelligent solutions and tangible results. It is important to us to create supportive, personable and enjoyable working relationships with our clients so that longer complex projects can weather the inevitable ups and downs that can accompany such endeavours. We are an experienced, agile organisation putting together teams of freelancers and working in partnership with other specialist organisations to add value and best meet the needs of our clients' projects. All projects are directly led and managed by one of the partners. John is based in Canterbury and manages the company's work in the South East. He has 25 years’ consultancy experience in the creative, heritage and third sectors with local, regional, and national organisations. His expertise covers successful capital project development, business planning and support, funding and bid writing, research and evaluation, data management and analysis. He has a long and successful track record in developing realistic sustainable business strategies and securing inward investment for his clients (to date Perfect Moment have helped to secure £72m of funding for their clients). He has helped major clients such as Brighton Dome & Brighton Festival and Hall For Cornwall to develop successful capital projects, writing business plans and helping them secure funding from sources such as Arts Council England and the Heritage Lottery Fund to develop their grade-listed venues. John has also carried out business planning work for Reading Town Hall, Youth Music (the national funder of youth music projects), Association of Colleges Create (the commercial wing of the national FE body), Hull: Yorkshire’s Maritime City, and Wentworth Woodhouse. Based in Cornwall, Kevin manages Perfect Moment’s work in the South West. 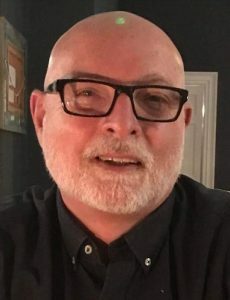 A strategic thinker and a builder of partnerships, Kevin has a wealth of experience in business planning for arts, heritage and third sector organisations. 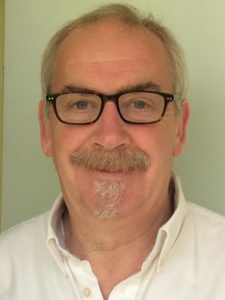 Kevin has had a major role in helping set up strategic organisations such as Cornwall Arts Marketing, Creative Skills, and ArtsMatrix, and led teams on key research studies such as Counting on Creativity, Creative Value and The Creative Edge report. Since 2010, Kevin has become increasing involved in the museums and heritage sector. He co-authored the Cornwall Museums Strategy and led on establishing the Cornwall Museums Partnership as an independent charity and helping to secure a successful bid for Arts Council England Major Partnerships Museums Funding. Kevin’s work at Perfect Moment has included a number of successful capital developments including managing the production of the business plan and fundraising strategy for Krowji (a £7 million centre for the creative industries in Cornwall) and writing the business plan for Kresen Kernow, the new Cornwall £17m archives building. Kevin is a Fellow of the Royal Society of Arts.